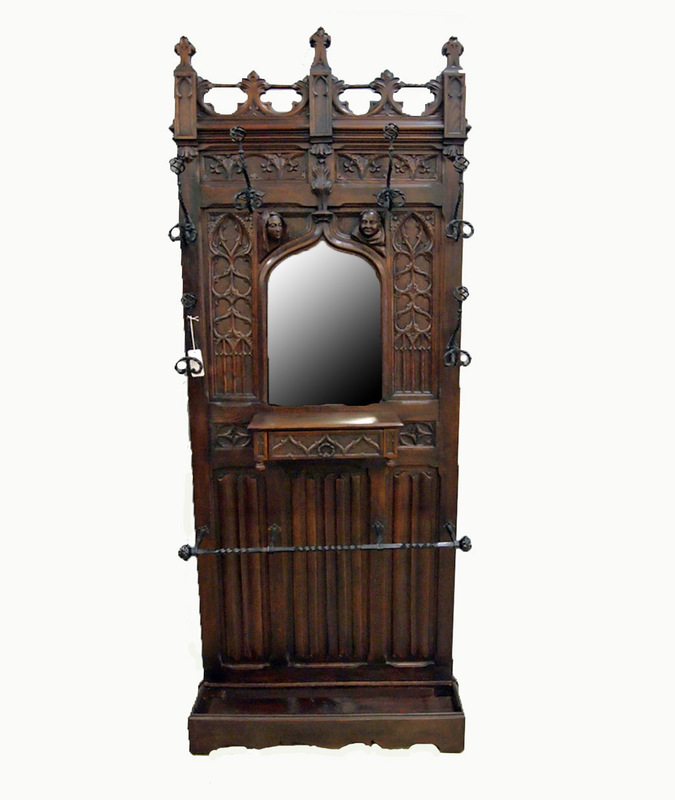 A late 19th century Gothic Revival Walnut hall tree. Arcaded crown above a paneled back with a central arched beveled mirror, forge Iron hooks a Marble shelf over a forged umbrella rack with lower linen fold panels. Old finish with wear and minor damage. Measures 38″ wide, 12″ deep, and 92″ high. $1,850.00.